Inventions can be big, like roller coasters, or small, like crayons. And inventors can be scientists or athletes or even boys and girls! It's hard to imagine life without Popsicles, basketball, or Band-Aids, but they all started with just one person and a little imagination. 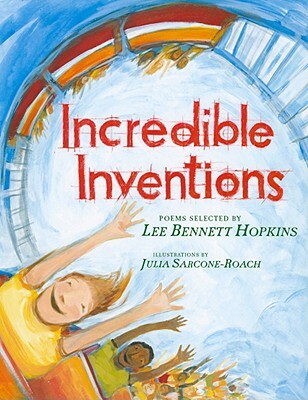 With sixteen original poems selected by Lee Bennett Hopkins and Julia Sarcone-Roach's imaginative artwork, Incredible Inventions celebrates creativity that comes in all shapes and sizes. What will you invent today?